The 12th Biennial Conference of the Society for Tropical Veterinary Medicine (STVM) and the VIII International Conference on Ticks and Tick-borne Pathogens (TTP8) will be held jointly from 24 to 29 August 2014 in Cape Town, South Africa. ILRI is a sponsor of this meeting and will be hosting a special session on the morning of 24 August. After a temporary absence from the tick research field, ILRI is actively exploring opportunities to re-enter this research arena. This conference provides a perfect opportunity for ILRI to explore and expand research opportunities in ticks and tick-borne pathogens. ILRI is interested in continuing work on tick and tick-pathogen combination vaccines, vector-pathogen interaction, the molecular basis of vector competence, the influence of climate on prevalence of tick-transmitted diseases and screening of African ticks for the presence of human pathogens. The ILRI Tick Unit can accommodate up to 16 cattle in its facilities and maintains four genera of African ticks, including R. (Boophilus) microplus and a series of R. appendiculatus stocks that differ in vector competence for Theileria parva. 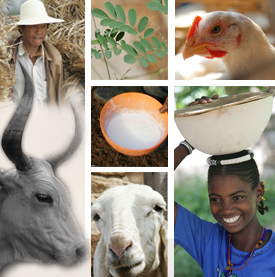 • Establish a consortium of partners and potential users of the ILRI Tick Unit. • Discuss possible collaborative projects of mutual interest. Tags: STVM, TTP8. Bookmark the permalink.